What is the nature of consultancy help? What forms does it take? What does it involve? What kind will be of help? This book will assist the increasing number of people in secular and religious organisations to answer such questions, to leam more about consultancy praxis, to improve their own ability as consultants and to identify and develop their preferred mode and model. 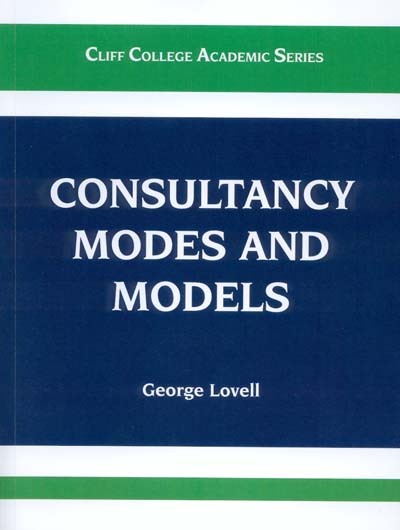 This book describes six modes of consultancy and seven associated models. The same analytical framework is used in the presentation of each model. This framework can be used to study any consultancy model. Using it helps to draw out the similarities and differences between models and to compare and contrast them - a task left to the reader. A picture emerges which is widely representative of the consultancy field without in any way claiming to be a definitive classification of it. Consultancy Modes and Models is a working document offered as a modest contribution to the theory and practice of consultancy. It brings together in one volume what would otherwise be available only in a considerable number of books, theses and articles: something few students and practitioners would have the energy, time and expertise to do for themselves. Indeed the book emerged to enable the staff and students of a postgraduate course in Consultancy, Mission and Ministry, to obtain an overview of the consultancy field and help them to study and teach a range of models. This book would be useful for consultants, consultors (those receiving consultancy help), students on consultancy courses, and advisers and purchasers of consultancy services, i.e. those who advise about, recommend and purchase consultancy services.